News reached me this morning that the celebrated photographer Balthazar Korab had passed away. Korab, along with Julius Shulman and Ezra Stoller, defined architectural photography. For myself, as a young photographer I would just pour over their photographs. Studying light, composition, usage of people, contrast, tone…an invaluable experience, one that I enjoy to this day. I stumbled on to Korab's photographs of the Ohio Historical Center and wanted to discuss the building with him. So I phoned, he answered, we spoke. The Historical Center is a misunderstood, beaten down building that was once held up as a point of pride in the city and in the design community. I was doing a small photography project for Center and wanted his advice. We spoke at length about the building, he recalled fondly his time working on the project and with infamous Columbus architect Byron Ireland. Extremely gracious with his time and knowledge, I was happy to have crossed paths ever so briefly. 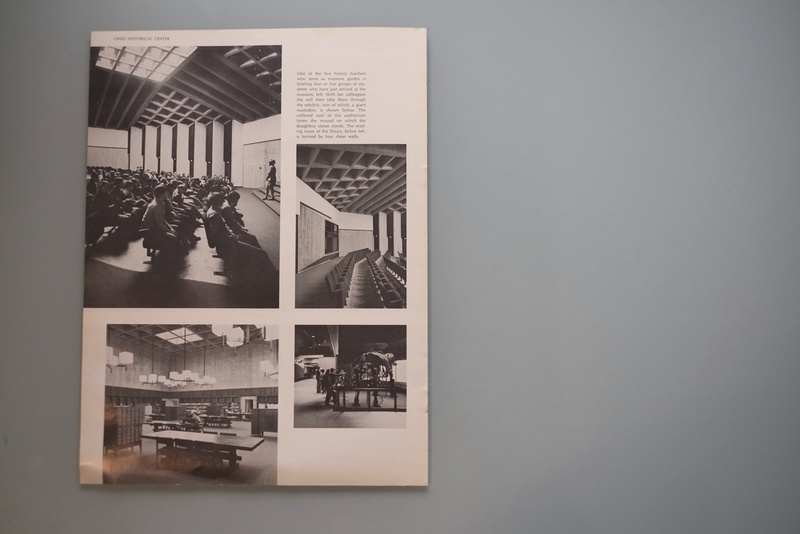 Update: Looking through my things I stumbled on to a 1971 Architectural Record story on the Ohio Historical Center, featuring Korab's photos. Posted below for your enjoyment.